How do I print a worksheet in excel? How do I print a workbook in Microsoft Excel 2013? How to quick print a excel work sheet? How to print a selection excel range? 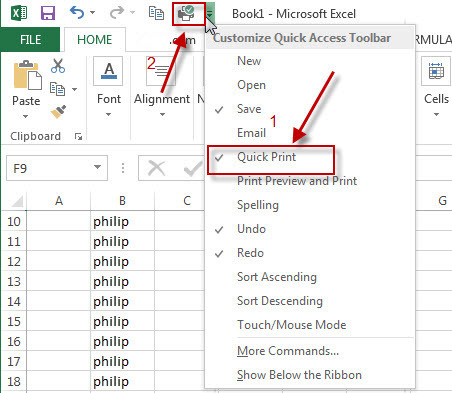 How to change the print setting to print the excel file base on your request. 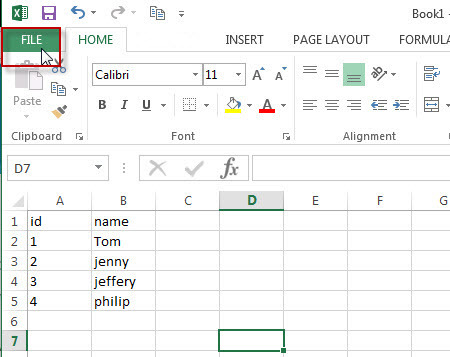 This post will guide you how to print a excel file. 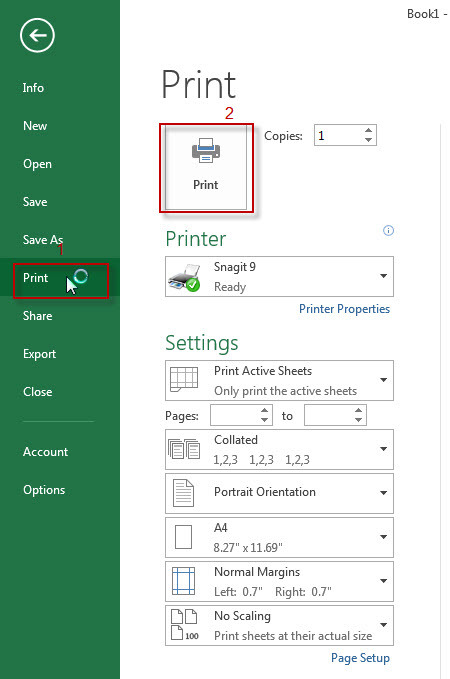 2# click “Print” menu, then click “print” button in the upper right corner. 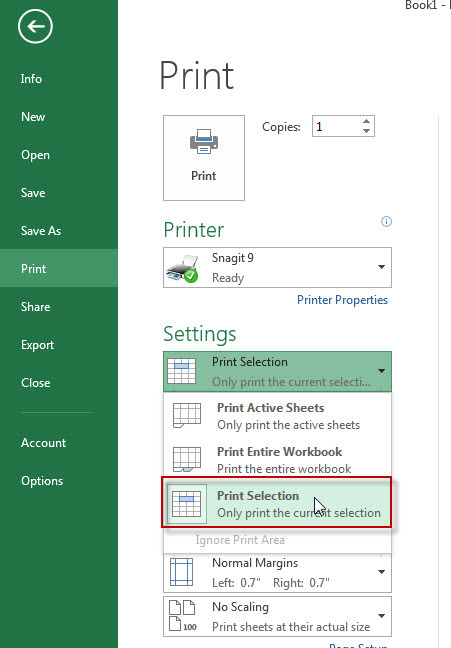 Then the current worksheet should be print base on the default page setting. 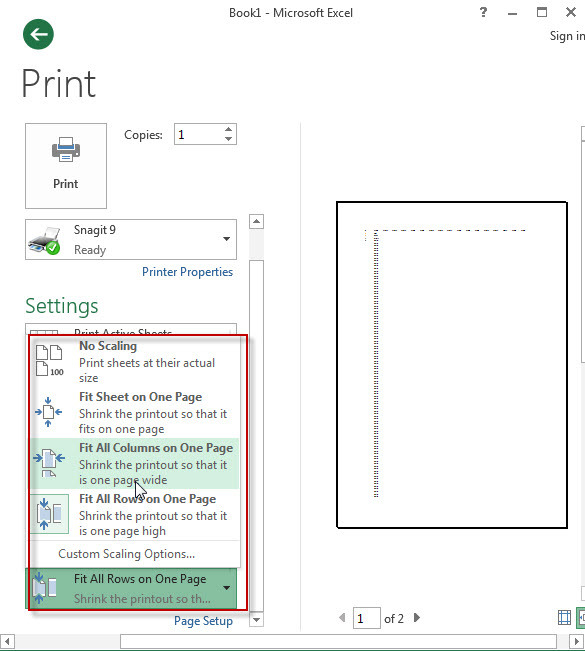 3# select “Print Entire Workbook” from print setting drop-down list. Note: excel just print the current worksheet by default. You can see that the default setting is “Print Active Sheets”. It means only print the active sheets. 1# select cell ranges that you want to print in the current worksheet. 2# click “File” tab in the current workbook. 4# select “Print Selection” from print setting drop-down list. When you print multiple copies for one file that contain multiple pages, you can control the print order as Collated or Uncollated. For example: 3 page files, print 3 copies for each file. If you choose “Collated”, then it will print the first copy (page 1, page2, page3), then print the second copy…etc. If you choose “Uncollated”, it will print 3 copies of page1, then 3 copies of page 2…etc. 3# select “Collated” or “Uncollated” from Collated setting drop-down list. 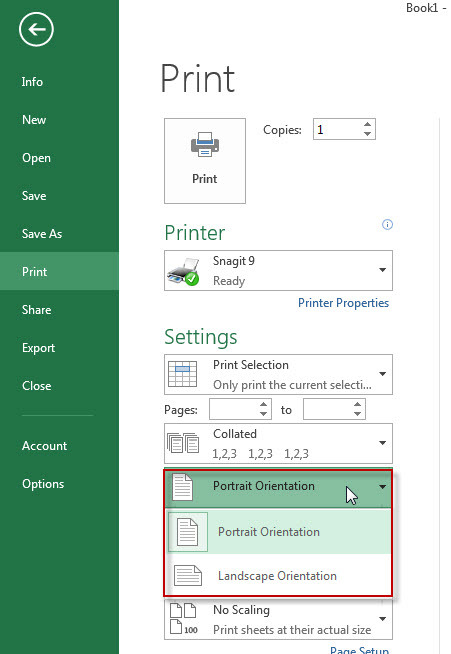 There are two orientation in excel print as: “Portrait Orientation” and “Landscape Orientation”. How to switch those two Orientation in excel? You just need to change it in print setting. 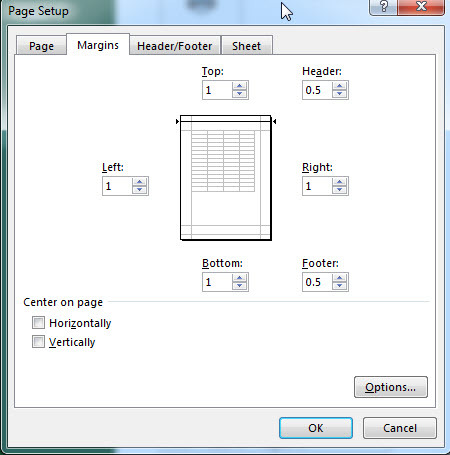 1# Go to print setting page, then click “Margin” setting drop-down list. 2# Click “Custom Margins…”, then “Page Setup” window will appear. 3# click “Margins” tab, then you can set the page margin value, such as: Top, Left, Bottom, Right…etc. Note: you can also drag the margin lines to change the page margins, just need to click “Show Margins” at the right bottom of print setting window. 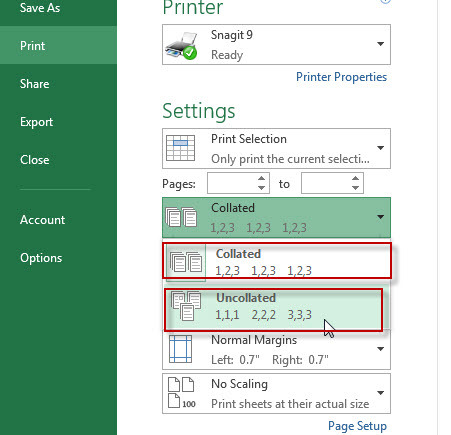 If your worksheet has lots of rows or columns, you can print all your data (rows and columns) on one page, then you can use Scale to shrink all data to fit the printed page. 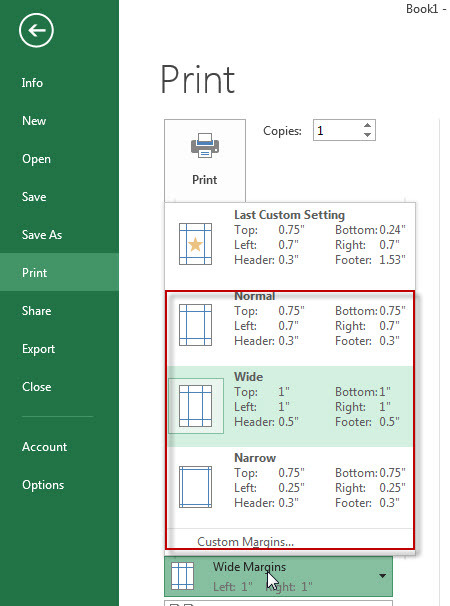 There are 4 scaling choices in excel print setting. 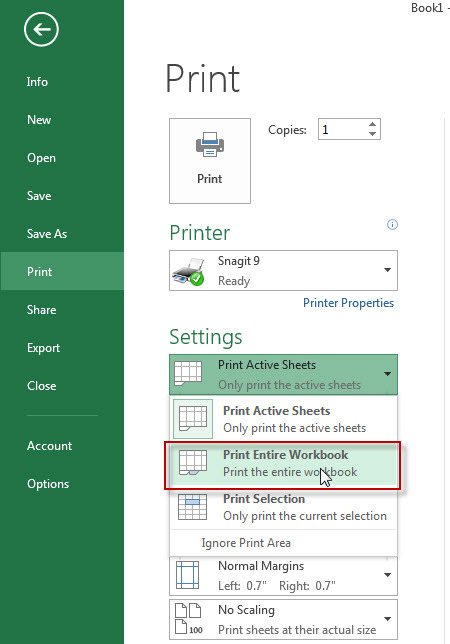 If you want to print the worksheet quickly without any print setting, you can just click “quick print” under quick access toolbar. After clicking “quick print”, the current worksheet will be print right now. Note: you can also press “Ctrl +P”, then click “Print” button to quick print the worksheet.